Black Star (fragrance), Avril Lavigne Single on Goodbye Lullaby Album (2011). 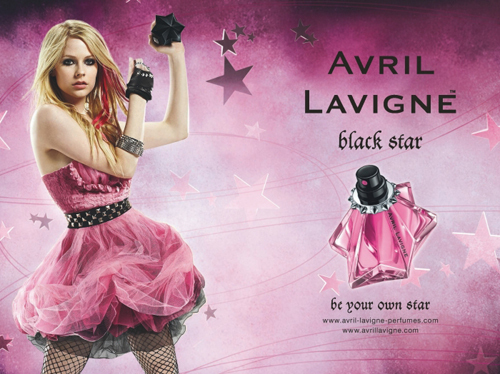 Black Star is a fragrance by Canadian singer-songwriter Avril Lavigne. The line includes, besides the 10ml, 15ml, 30ml, 50ml and 100ml eau de parfum, a shower gel, a body lotion, and a spray deodorant. A mini shower gel comes exclusively with a Black Star gift set available in the UK, and in the German/Dutch giftset a 50ml body lotion is also included.